You just spent all winter getting your bike ready for the season. New brakes, oil change, new fairings and a paint job. You spend all week loading everything into the trailer. All track essentials like a canopy, cooler, chair and ibuprofen are stocked. Do you want to be that person scurrying around with a flashlight in the wee hours wondering why your trailer has a flat? Now is the time to inspect your trailer. You know trailers need a little love too. Use that fancy gauge sitting in the toolbox to check the tires on the trailer and tow vehicle. Always remember to verify that the tire pressure is correct and don’t forget the spare tire. Check the condition of the tires, are they dry rotted or wearing funny? New tires are the best! Have you ever looked at the underside of your trailer? Inspect the springs, spring bushings, and hangers, for wear and cracks. This kind of preventative maintenance can save your trailer from a dangerous and expensive breakdown on the road. Inspect the wheel bearings. This requires a repack, new grease, a new bearing and bearing race if needed. Make sure connector plug prongs and receptacles, light bulb sockets, wire splices, and ground connections are all clean and shielded from moisture. Then, lightly coat all electrical terminal connections with non conducting dielectric, light waterproof grease. MAKE SURE all running lights, brake lights, turn signals, and hazard lights are working. Above all, inspect the wiring for proper connections. You want it loose enough to make turns without disconnecting or damaging the wires, but not so loose that it’s dragging. Verify the brakes on the tow vehicle and trailer are operating correctly. Remember to inspect them on a regular basis making the necessary adjustments to any damaged or worn parts. For instance, how much brake pad material remains? The start of the warmer months is a good time to replace them if they are getting close to the end of their life expectancy. Is the trailer loaded? Certainly, you’ll check that all items securely fastened onto and in the trailer. And, that the trailer is properly balanced front to back and side to side? No one wants to drop the gate at the track only to find your bike has been playing pinball the whole ride. Yes, it’s the only thing that holds the two together. 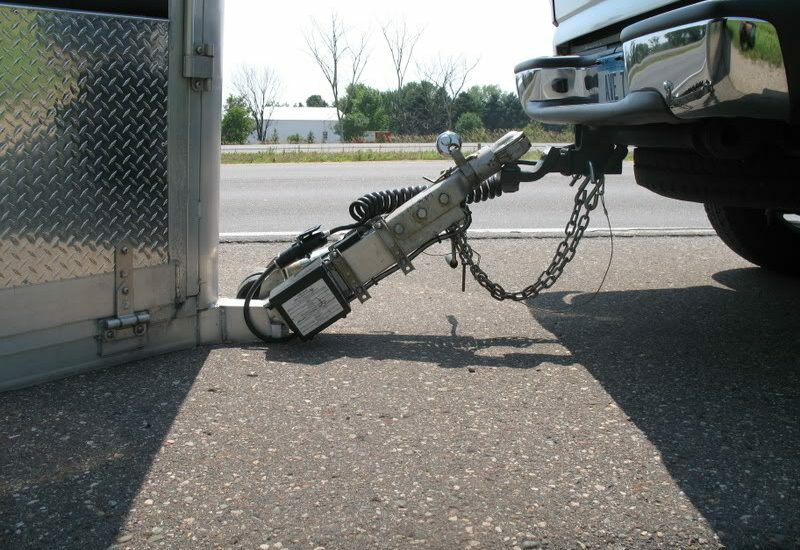 First, make sure the hitch, coupler, draw-bar, and other equipment that connect the trailer and the tow vehicle are properly secured and adjusted. Second, check the nuts, bolts, and other fasteners to ensure the hitch remains secured to the tow vehicle and the coupler remains secured to the trailer. Lubricate the connection point if necessary, to permit free movement of the coupler to the hitch ball. Last, inspect the coupler ball socket to ensure it is not bent or dented. Any indentations could cause the ball not to seat properly. Following these simple steps on trailer maintenance, will result in a trouble free trip. We are a Pirelli motorcycle race tire distributor. Many say the tire is one of the best improvements you can make, and we agree. With the right information, better decisions are made. We are here to help with your choice.